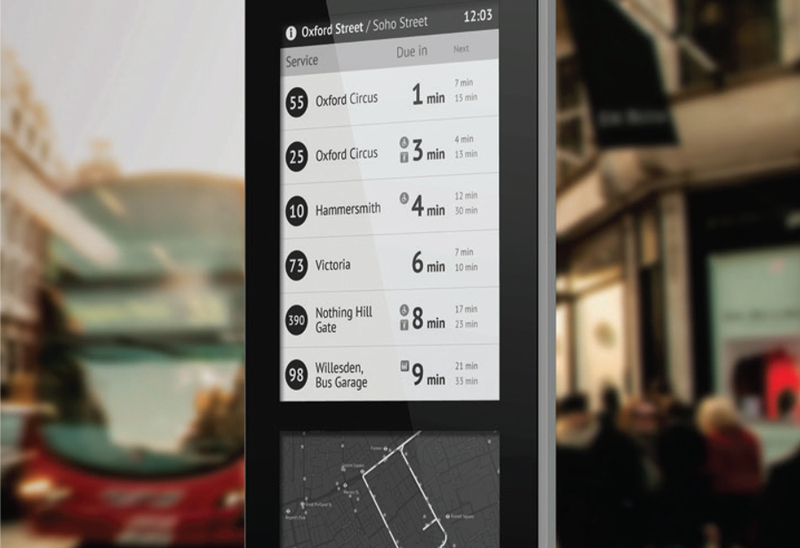 Advances in display technology are enabling wayfinding and customer information signs to be updated dynamically in response to changing circumstances without compromising on the visual quality. At the same time, the robustness has improved along with the affordability, so that investing in digital screens to communicate even relatively static information is no longer out of the question. Ed will provide an overview of different display solutions and their applications, focussing in particular on E-Paper technology. He will be accompanied by James Sirmon, Chief Engineer of Papercast, technology supplier and a Jedco client. James will bring along a demo unit to give more detail on E-Paper and software capabilities. Inurface Media is a digital signage solutions specialist. During his talk Paul will look at what’s needed for a successful deployment. Digital solutions, smart though they are, struggle in directing the person stood in front of them unless they can show them: where they are, where they want to get to, the best route to their destination. No matter how good the technology is, design is as important as instruction. Ed Griffiths is the Creative Director of Jedco Product Designers, an award winning product design consultancy based in Surrey. Jedco work in a wide variety of sectors, but have particular experience in the design of public infrastructure products. With 15 years of experience, Ed is responsible for designing desirable, innovative, appropriate, and robust products. He is passionate about new technologies, and how these can be successfully integrated into new products to bring tangible benefits to users and clients. He was responsible for the product design of signage for the London 2012 Olympics, and numerous developments for Transport for London, including solar powered bus stops. Paul Cook is the Business Development Director at Inurface Media. Founded in 2008, Inurface offer a complete range of digital signage solutions across a wide range of industry sectors. For the past 30 years Paul has been working in and around retail. He started at Sainsbury’s on the shop floor and has been obsessed by customers ever since, and in providing the right solution for them. Not as technical as some of his colleagues, his focus is always on the end user – how are they impacted and how signage solutions can make their lives better. He also likes beer! Book Now to learn about new developments in dynamic signage technologies.